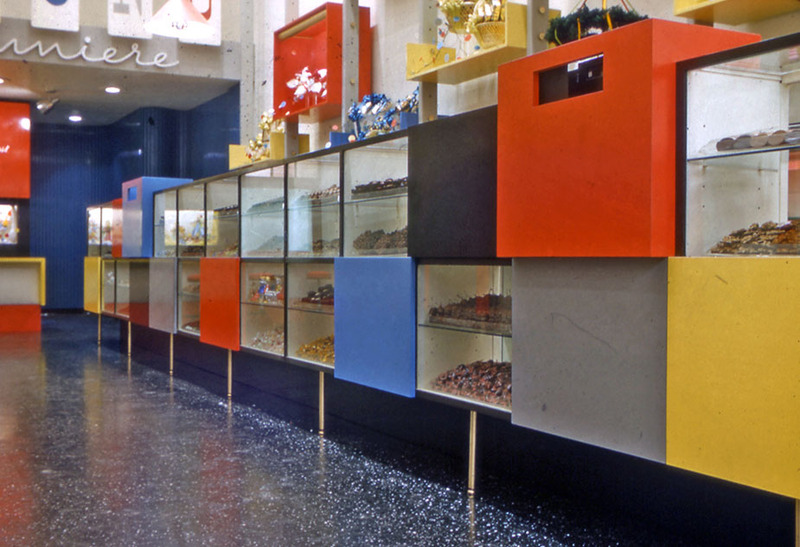 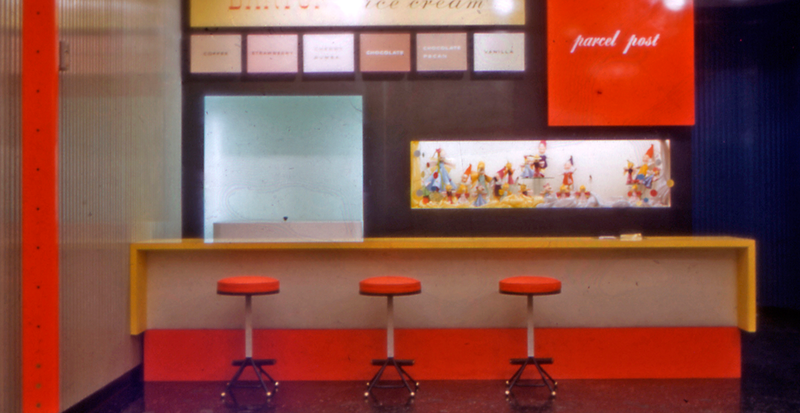 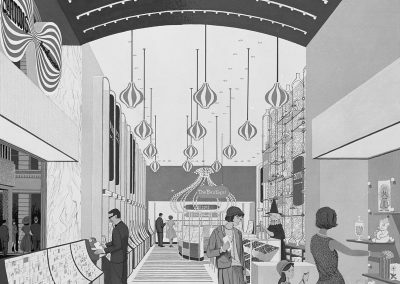 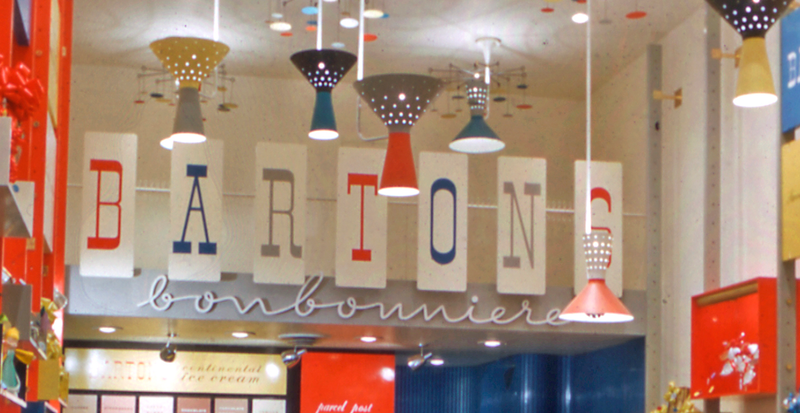 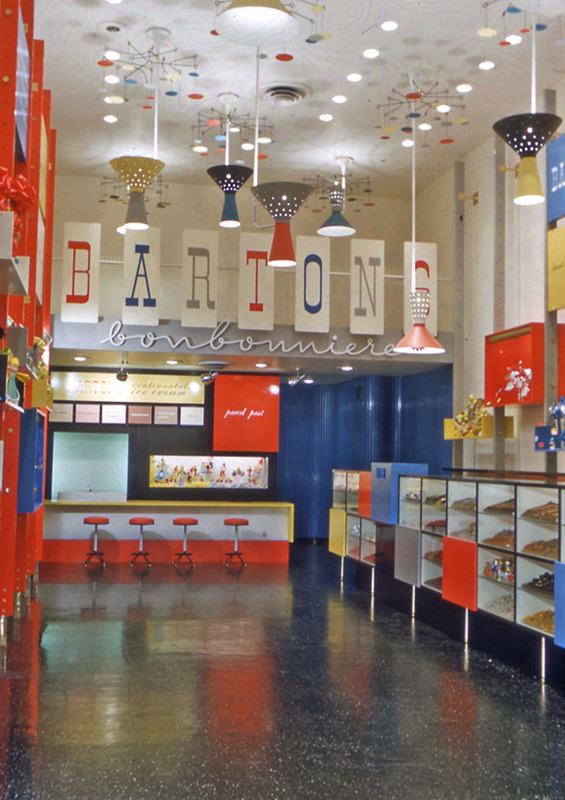 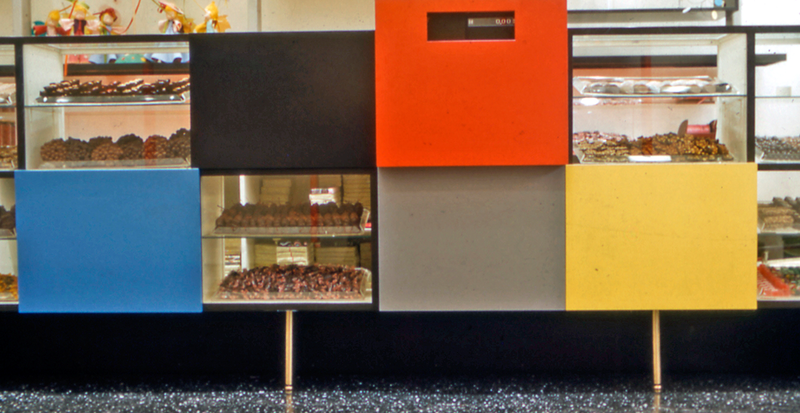 Victor Gruen Associates designed Barton’s Bonbonniere, for the 50th location of the chain retailing continental chocolates. 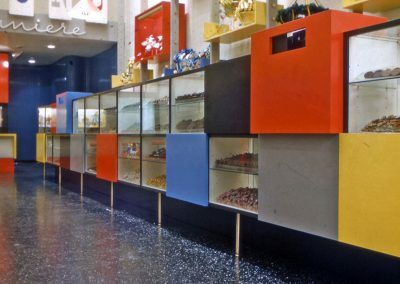 Very important were the two elements of lighting and color to create a modern store that would appeal and entice the customers to visit and create the mood for them to buy from the chocolatier. 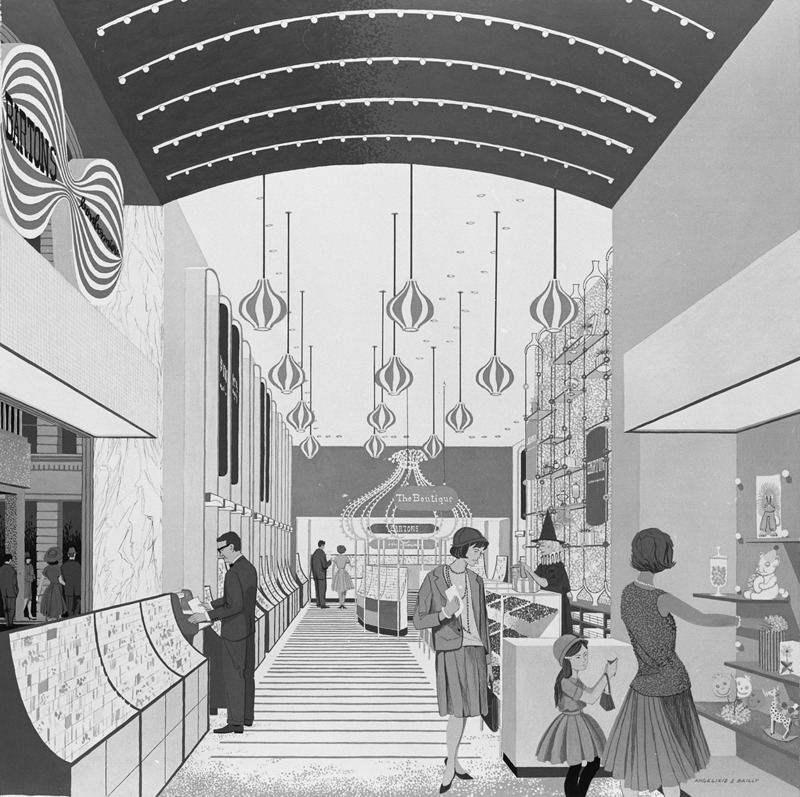 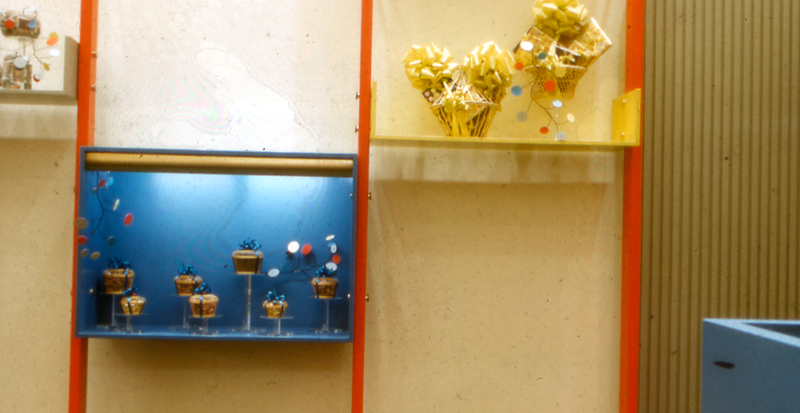 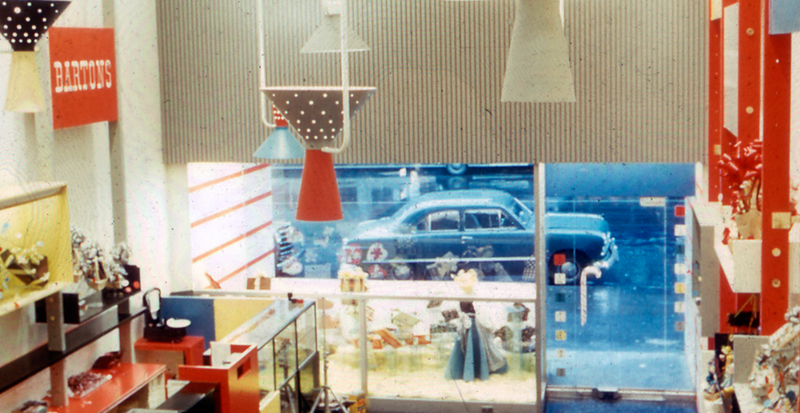 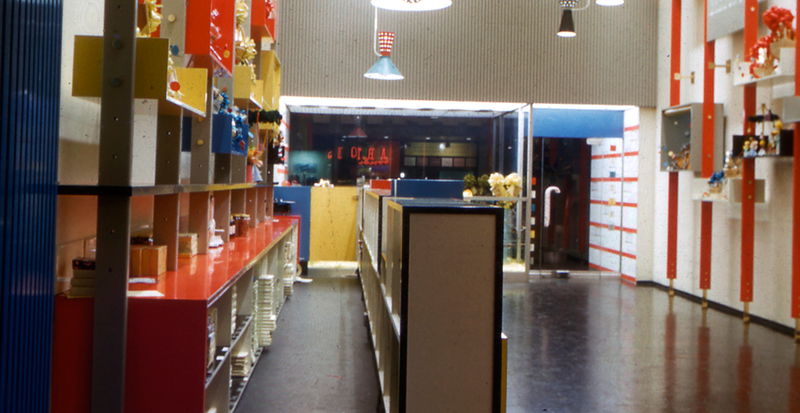 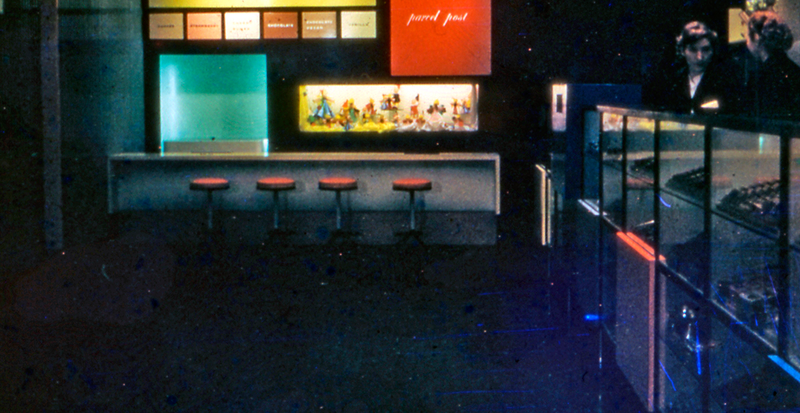 Designed as a “toyshop for adults,” the store was furnished with a number of clever display devices. 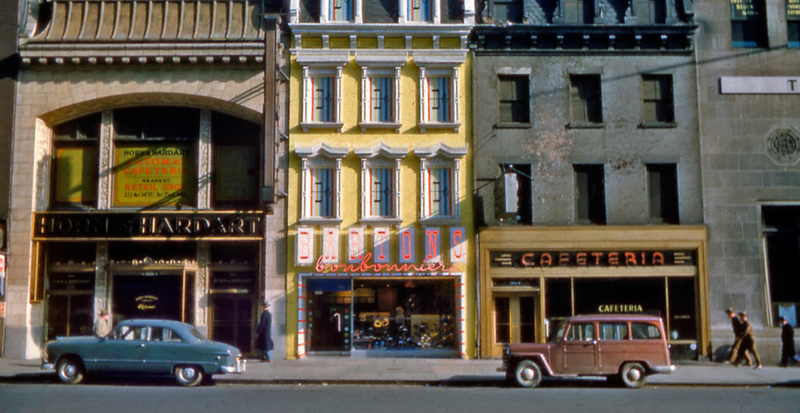 For the exterior, the design transformed the typical “apartment-over-store” façade on a rather drab Manhattan street; giving life to the building within New York’s famed Herald Square shopping district. 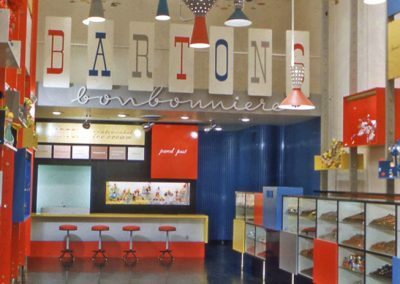 Victor Gruen Associates would design five more stores for other New York locations as well as one in Philadelphia, Pennsylvania.